IPMC Oncology is dedicated to providing care for cancer patients in a comfortable and personalized setting in the privacy of an outpatient center. Our facility was designed with patient comfort and convenience in mind, as well as with the privacy only an outpatient center can offer, allowing patients to fulfill all of their treatment needs under one roof. Time is crucial when facing a cancer diagnosis. IPMC Oncology makes every effort to schedule a consultation with one of our oncologists (doctors who specialize in the care of cancer patients) within 24 hours. Our board-certified physicians have a wealth of expertise and knowledge, combined with comprehensive and innovative treatment planning system. This enables them to treat any type of cancer with the highest standard of care, while utilizing the facilities state of the art equipment and treatment modalities. IPMC’s constant involvement in basic science, teaching and clinical research, allows our small department to be a strong competitor to the larger academic programs. Diagnostic imaging is available on site, accepting all insurances. Rapid scheduling is convenient to assist in an accurate diagnosis. A treatment plan is then designed to meet your individual needs. We offer radiation therapy and adjuvant treatment, such as chemotherapy, in a convenient outpatient setting. Our staff is committed and devoted to serving the patients in this community. IPMC Oncology is an American College of Radiology accredited facility, demonstrating the highest level of care found in university hospitals, yet in a convenient outpatient center. 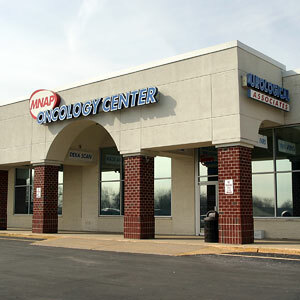 We have the ability and certification to provide the level of care necessary to accurately treat any type of cancer. We are a free-standing facility, located in Northeast Philadelphia; the facility provides ample parking, easy access for handicapped patients, as well as free transportation. Our office opens at 6:00 am to accommodate each and every patient. To schedule a consultation or tour of the center, please call our office at 215-673-9260, Monday through Friday between the hours of 6:00 am and 4:00 pm.